Have you been searching for vacuum cleaner parts in Newmarket? Give All Appliance Spares a call today. With 5 years of experience in the industry, you can trust us to provide you with a first class service at all times. So if you need a new washing machine or a new part for your electrical appliance, get in touch with us today. We offer a friendly and local service, helping you to find the parts that you need when you need them. We place an emphasis on customer care, ensuring that you receive an excellent standard of service from the moment that you first speak to us. 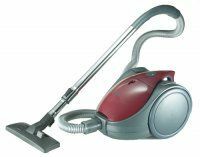 We&apos;re sure that you won&apos;t be disappointed that you chose us, so call All Appliance Spares when you are searching for Hoover parts in Newmarket. Don't forget to come to All Appliance Spares when you are searching for electrical spares in Newmarket.